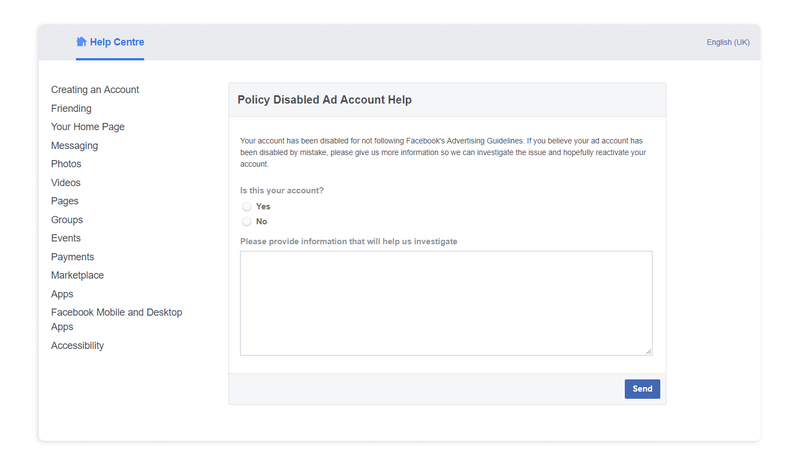 My Facebook ad account was disabled by mistake. How can I open a dispute? 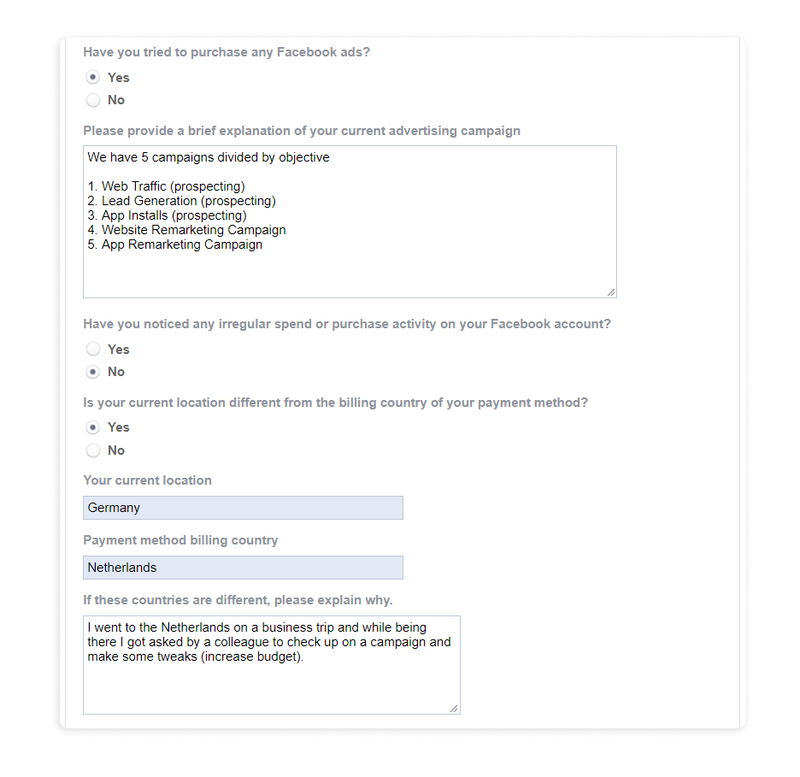 If your ad account has been disabled for violating Facebook Advertising Policies follow these steps to open a dispute use this appeal form to request investigation. Provide as full information as possible to prove that the advertising policies were not violated. 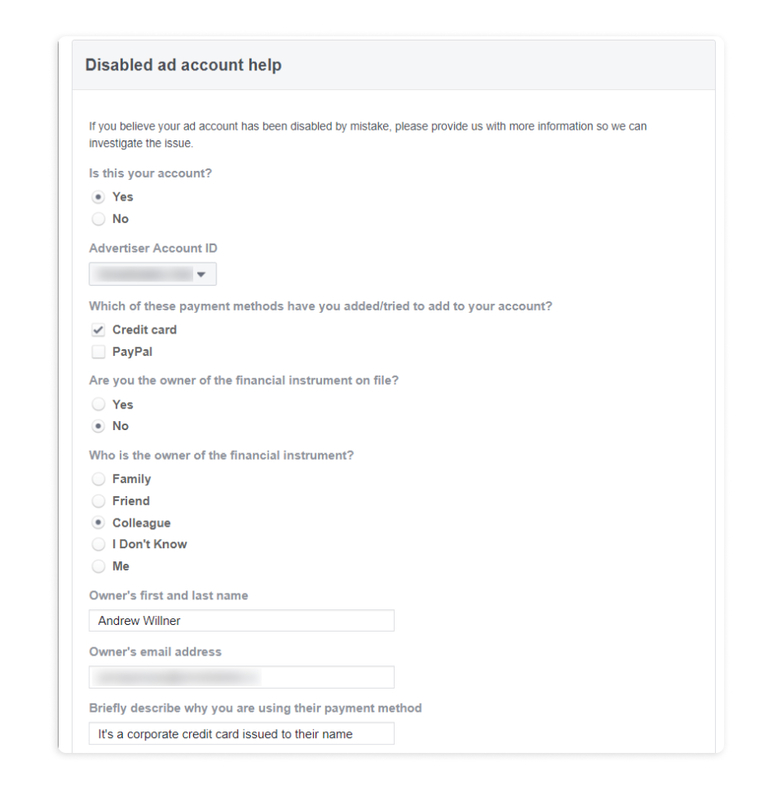 If you ad account was flagged for unusual activity, in most cases it is related to your payment method. There are many reasons for this. Could be difference between account and billing name or they may think you're a fake person. It's faster to simply fill out the form, without digging too deep into the reasons. Use this appeal form to request investigation.